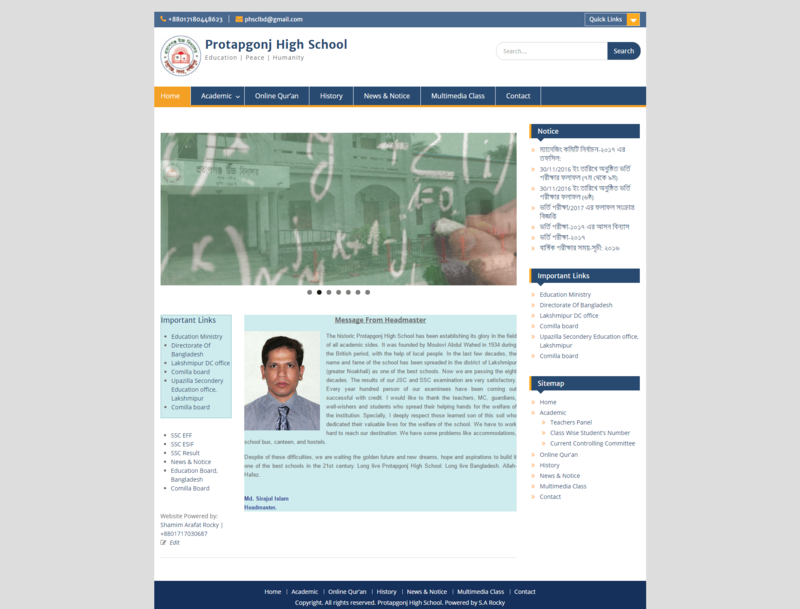 The historic Protapgonj High School has been establishing its glory in the field of all academic sides. It was founded by Moulovi Abdul Wahed in 1934 during the British period, with the help of local people. In the last few decades, the name and fame of the school has been spread in the district of Lakshmipur (greater Noakhali) as one of the best schools. Now we are passing the eight decades. The results of our JSC and SSC examination are very satisfactory. Every year hundred person of our examinees have been coming out successful with credit. I would like to thank the teachers, MC, guardians, well-wishers and students who spread their helping hands for the welfare of the institution. Specially, I deeply respect those learned son of this soil who dedicated their valuable lives for the welfare of the school. We have to work hard to reach our destination. We have some problems like accommodations, school bus, canteen, and hostels. Despite of these difficulties, we are waiting the golden future and new dreams, hope and aspirations to build it one of the best schools in the 21st century. 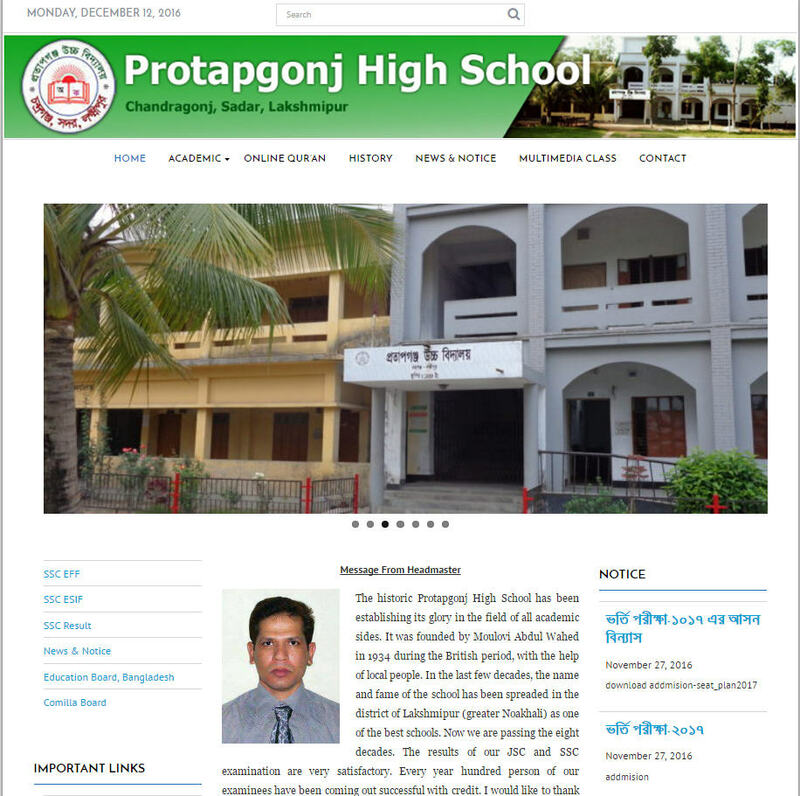 Long live Protapgonj High School. Long live Bangladesh. Allah-Hafez. The Website is created along with its school management system application.